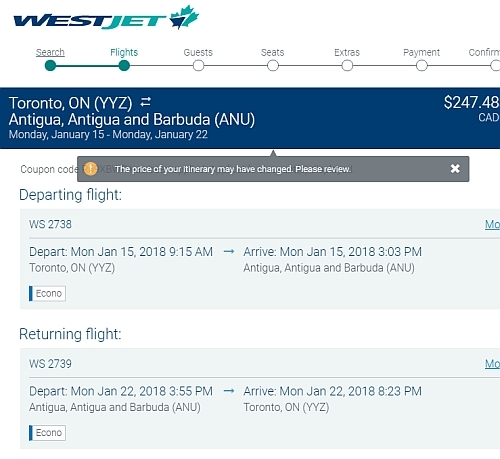 WestJet has dropped the price of some of their non-stop flights Toronto to St. John's, Antigua in January down to $247 CAD roundtrip including taxes! Unlike it's sister island, Barbuda, which was devastated this hurricane season - Antigua did not suffer much damage. There aren't a ton of dates available so these may disappear very quickly. Update @ 7 PM EST - It looks like these have sold out. 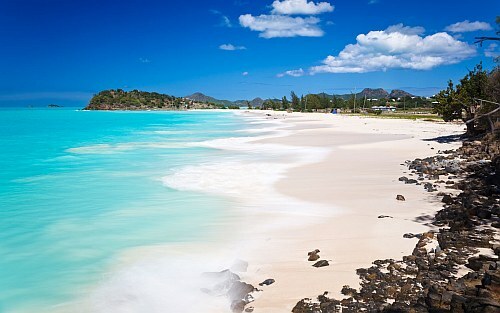 Any great deals for a place to stay on Antigua? Airbnb shows about 47 properties for under $99 CAD/night for 2 people. toronto, yyz, caribbean, eastern caribbean, flight deals, southern caribbean, lesser antilles, leeward islands, antigua, saint johns and antigua and barbuda.